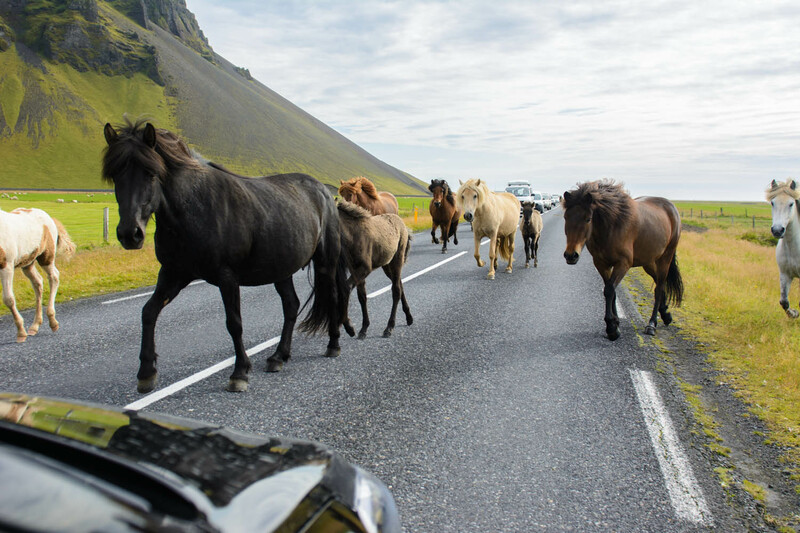 Iceland is the ultimate road trip destination. Imagine getting behind the wheel in this vast wilderness, the open road in front of you and the sun rising behind you, listening to your own playlist through the sound system or simply the silence of the surrounding landscape, on your own schedule, stoping and starting where you please at your own pace and intensity, throwing itineraries to the wind, all in the name of freedom. I didn’t just imagine this scenic drive. I recently lived it on my first trip to Iceland. If you’re wondering what to do in Iceland, you aren’t alone. Seems like everyone and their dog has made the journey north lately, asking me about recommendations, travel advice, what to do, where to stay, airlines to fly, etc, etc. Now I can happily say that I have all the answers! Before getting into the big round-up, I know that the Iceland Stopover on WOW Airlines is popular as well as a quick trip before visiting other parts of Europe. 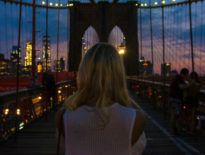 I love my Chase Sapphire Reserve card so much, so I was stoked to partner with Chase Sapphire to share my Sapphire Six travel guide with my favorite hotspots and tips to help you plan your trip to the land of fire and ice. Most travel guides feature restuarants, museums and hotels. But what do you do if one of the hottest spots is actually the side of the road? Rent a car! This should be the first thing you do in Iceland. The freedom of being able to go wherever you want, when you want, is such a luxury. See a waterfall on the side of the road? Pull that car over. Same when you spot Icelandic horses. With my Chase Sapphire Reserve card, car rental privileges from National Car Rental, Avis and Silvercar were all available and I received 3x points on this big transaction (8 day car rental!) which was a nice perk. Word to the wise: opt for the Gravel Protection Insurance, aka the Windshield Insurance. Weather in Iceland can be extreme! Ah yes, the world famous lagoon. One thing’s for sure – this natural hot spring is worth the hype. It’s easy to book your tickets before takeoff or at KEF after landing and head straight there since it’s in close proximity to the airport. I chose the Standard Package ($75 USD in summer) which includes entry fee and a silica mud mask. That being said, if I could do it all over again I’d choose the Comfort package which includes entry, a mask, towel, drink and an algae mask. Hellooo, spa day! Between the swim-up bar, silica masks and easy booking options, I can’t choose my favorite part about the Blue Lagoon. I’d go with Option D) All of the above. Although the entire country deserves to be explored, a lot of visitors base out of Reykjavik for days on end. 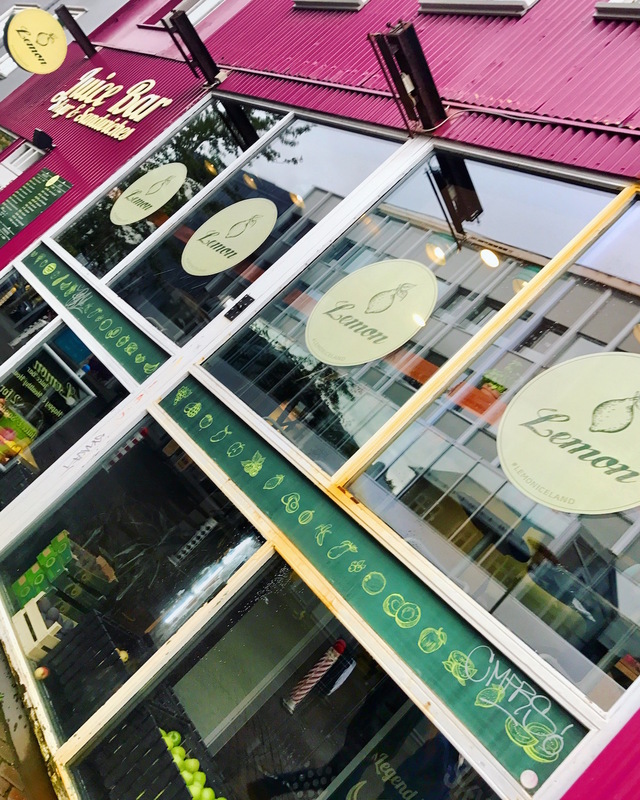 While I didn’t spend a ton of time within the Capital limits, I searched for some good eateries, even though dining can be very expensive here. With my secret advantage in hand (my Chase Sapphire Reserve), I earned 3x points for all dining experiences. SCORE. 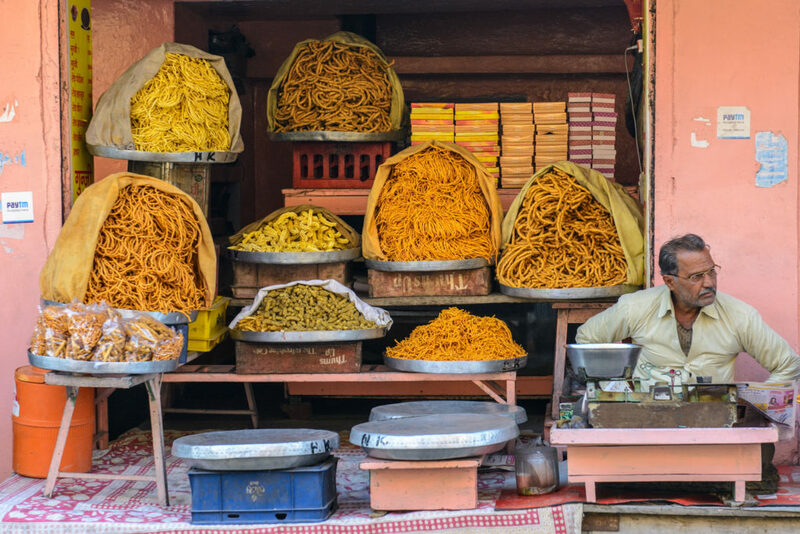 Plus, no foreign transaction fees. DOUBLE SCORE. I’m a sucker from all things breakfast, and Lemon does a body good with its juices, smoothies, coffee, oatmeal and yogurt/granola mixture. For lunch, I like to do quick and easy meals so as not to disrupt my Dora The Explorer mode. 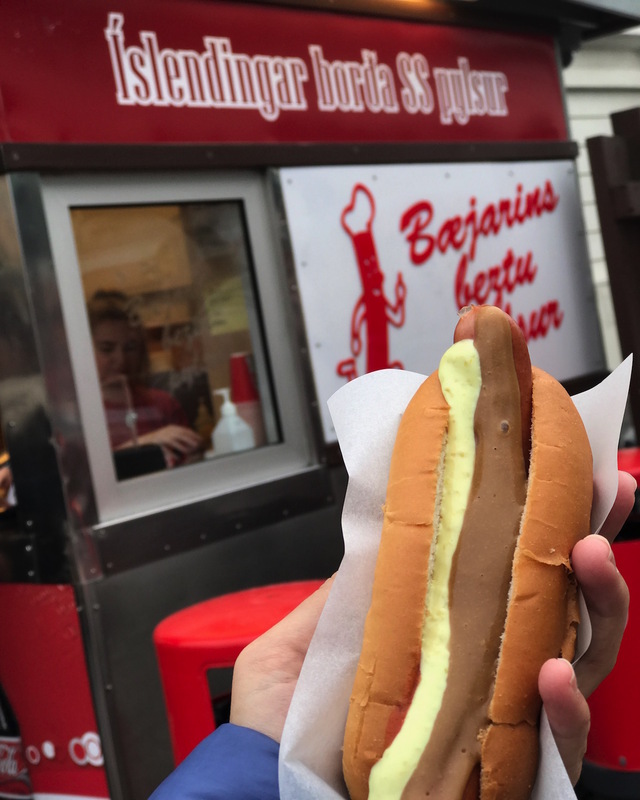 Icelanders love their hot dogs, and I can vouch for the popular street stand known as Bæjarins Beztu Pylsur. They keep it simple and clean, just the way I like it. For dinner, ramen usually pulls at my heart strings. When the recommendation for Ramen Momo came in numerous times from my readers, I knew I had to go. T’was delish! 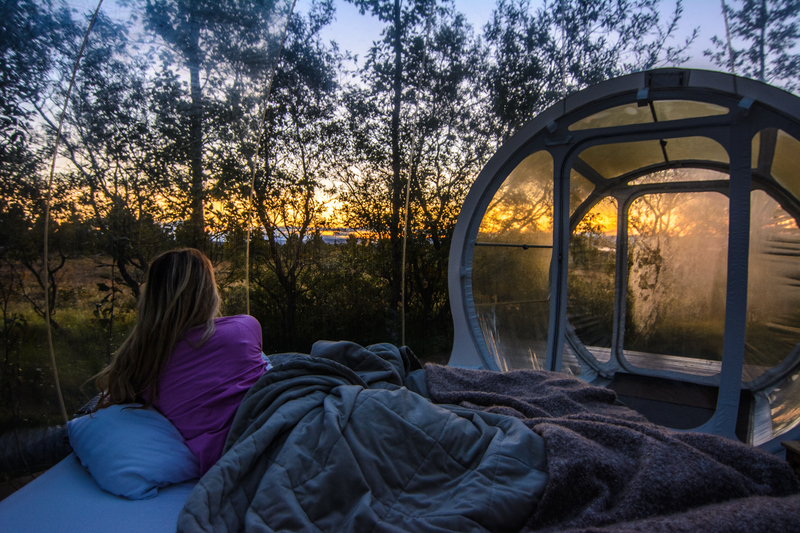 The locals call it the ‘5 Million Star Hotel’ and after spending a night here, I know why. I was literally living inside my own bubble with only a thin, clear barrier separating me from the trees, wind, wildlife and Northern Lights. Don’t forget that starting in September, the Aurora Borealis come out to play! While on the Ring Road, one of my absolute favorite stops was about 30 minutes north of Akureyri (Iceland’s second largest city). I visited the Beer Spa, Bjorbodin, a fairytale land with hot tubs on the coast, craft beer on tap and BATH TUBS full of BEER. I miss it just thinking back on this lovely afternoon. It was the perfect way to relax after going nonstop on the Ring Road (the road circling the perimeter of the country). After just opening in June of 2017, I felt very lucky to be one of the first to experience (and drink) all it had to offer! Iceland is a volcanic island which contributes to its geothermal activity. 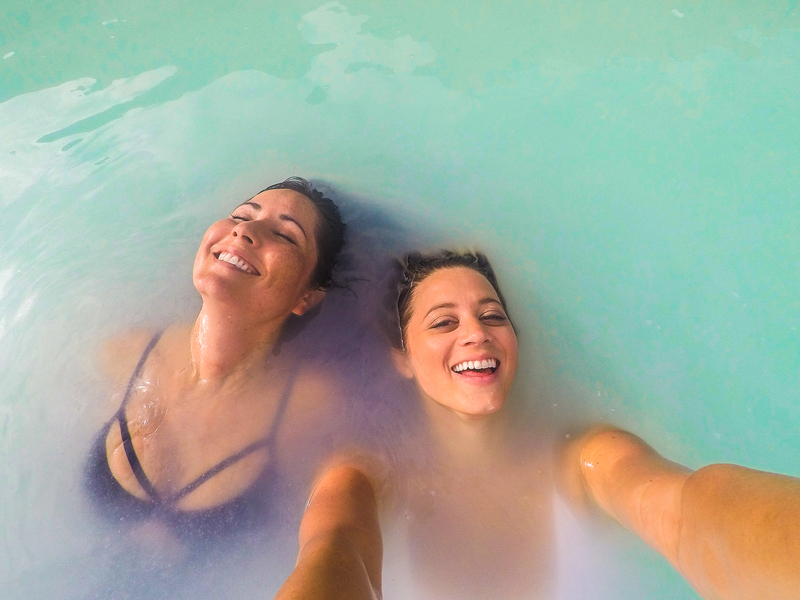 Sure, it has a cold climate most of the year, but to make up for it, Iceland has about 250 geothermal areas producing hundreds of hot springs, affectionately known as ‘hot pots‘ by the locals. Myvatn Nature Baths was of my favorite lesser known hot springs. 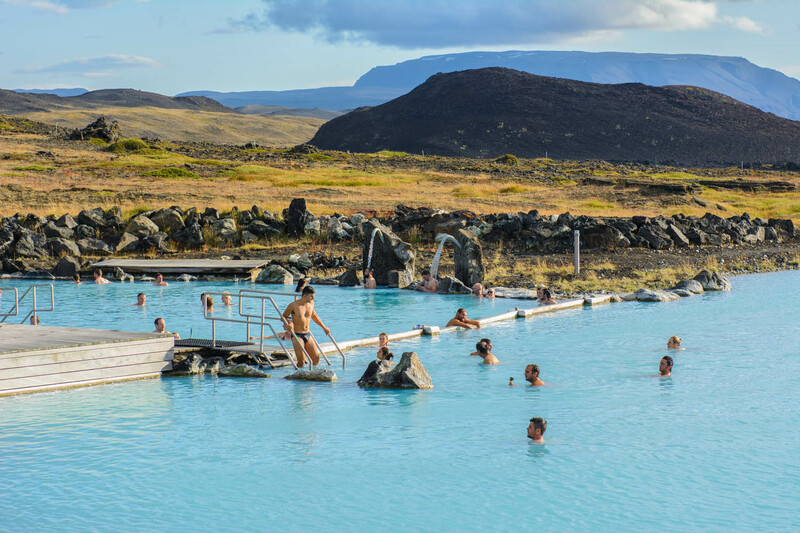 The reserve is about an hour and a half from Akureyri and in the middle of nature in a pool full of geothermal waters. For less than half of what it cost to experience the Blue Lagoon (only $40 USD in summer), I thoroughly enjoyed the tranquility and off-the-beaten-path vibes. Stay tuned for more Icelandic adventures! Next up: South Iceland. Love this post! I don’t have a Chase card but you sold me here. I travel a lot and didn’t know about these perks. Thank you! Will look into this. Thanks so much for the tips! 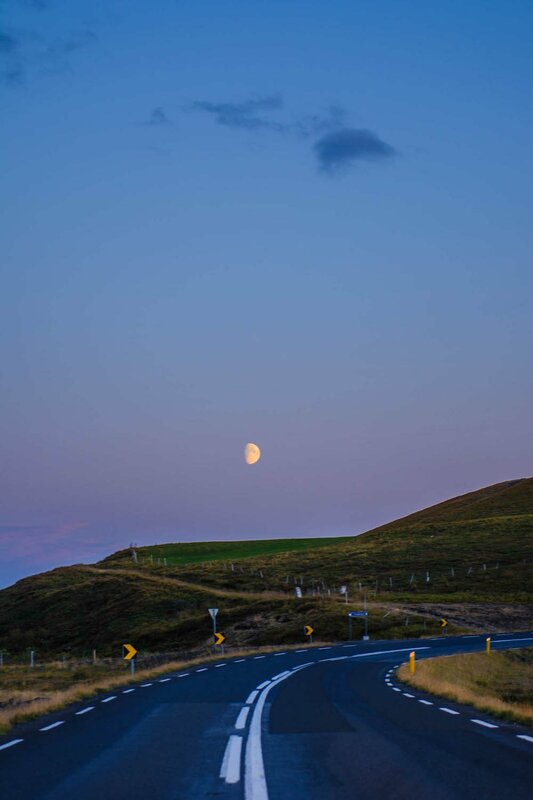 I did a quick trip to Reykjavik area earlier this year but didn’t do the whole Ring Road so I’m looking at going back. Did you spend 8 days (re: your car rental) stopping along the Ring Road? Or how long do you suggest allotting for that portion of the trip? What’s the best time of year to go? I don’t want to go when it’s super crowded but am interested in possibly catching the northern lights! Hi Lesley! I’ll be traveling to Iceland in a couple weeks and have been very much looking forward to your South Iceland adventures, any chance we’ll see that post soon? what time of year is this when you went? End of August into the beginning of Sept! So. This bubble looks AMAZING. I am only seeing the tour options how the website and was just curious how you booked the accommodation only option/how much it was. P.s can I be you? Thanks!